Summer is well and truly here and I’m sure I’m not the only one thrilled with warmer days and longer nights. 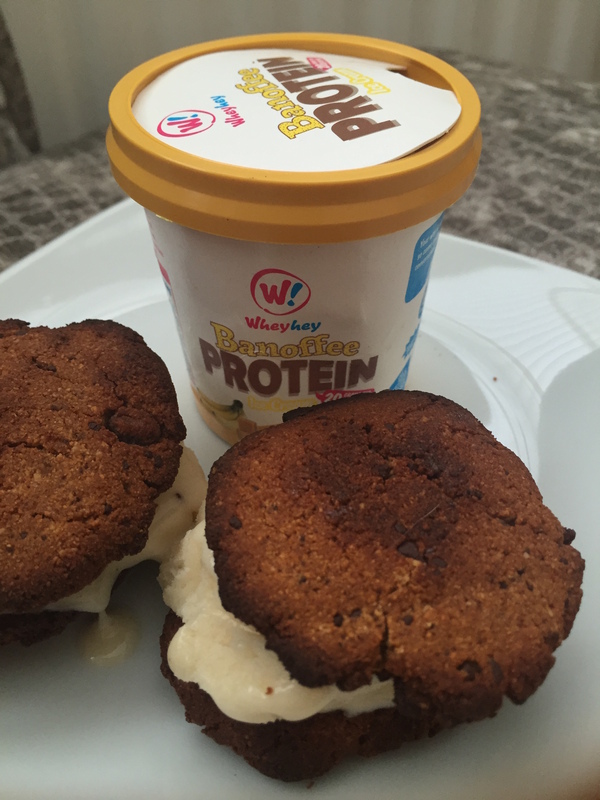 Nothing says Summer like the sound of an ice cream van in the distance, it’s just a shame almost everything in there is full of fat and sugar….. which is why I’ve teamed up with Wheyey Protein Ice Cream to create this healthy Summer sweet treat in the form of Wheyhey Ice Cream sandwiches. 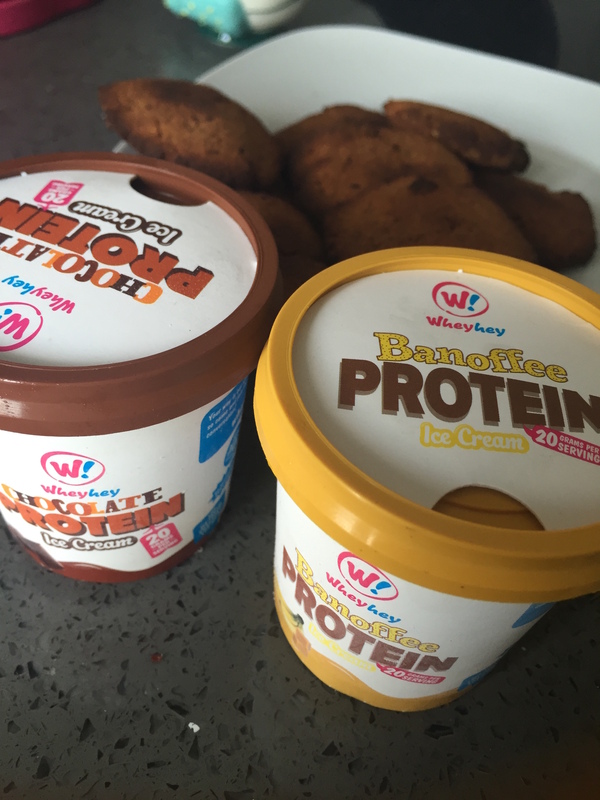 Wheyhey Ice Cream contains no refined sugar and boasts 20g protein per 150ml! That’s around 14g per scoop! So how do you make this protein packed sunshine treat? Read on to find out. In a large bowl mix all the dry ingredients (flour, almonds, cacao, coconut sugar, baking powder and salt) and once combined, add in the maple syrup and coconut oil until the mixture is slightly sticky. From there add in the milk (your choice of almond or coconut) gradually and stir until a ball of solid but sticky cookie dough is formed. Add the correct amount of milk to achieve this consistency. Line a baking tray with greaseproof paper, and using your hands shape the dough into ten small balls, and press flat to achieve a cookie shape and thickness. Don’t make them too thin or they will burn around the edges, and don’t make them too thick so that the middle remains uncooked. Pop the cookies into the oven for around 10 minutes and then remove to check they are not burning, if so you may want to turn them over. Bake for roughly another 5 minutes, ensuring they have a biscuit texture when touched but are not too crispy. Remove from the oven and allow to cool for 30 minutes. The cookies can be stored in an airtight container for up to 4 days, and when you are ready to serve them remove the Wheyhey from the freezer around 5 minutes before to allow it to melt slightly, then place one scoop of Wheyhey in between two of the cookies, press firmly so that the cookies stick to the ice cream – and there you have your protein packed, sugar free ice cream sandwich! 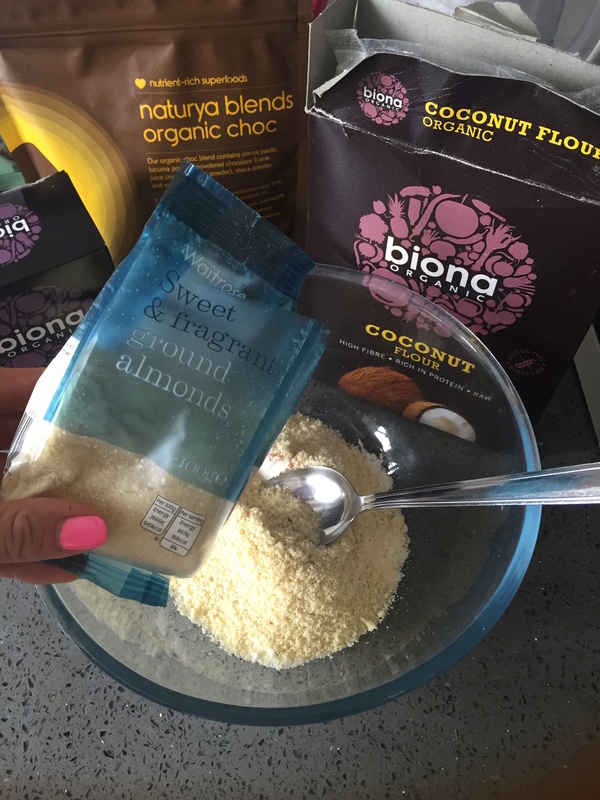 Perfect for a Summer afternoon or a BBQ treat, or even a sweaty Summer session post workout snack, you’ll need to eat these straight away after serving…. what a pity eh?! 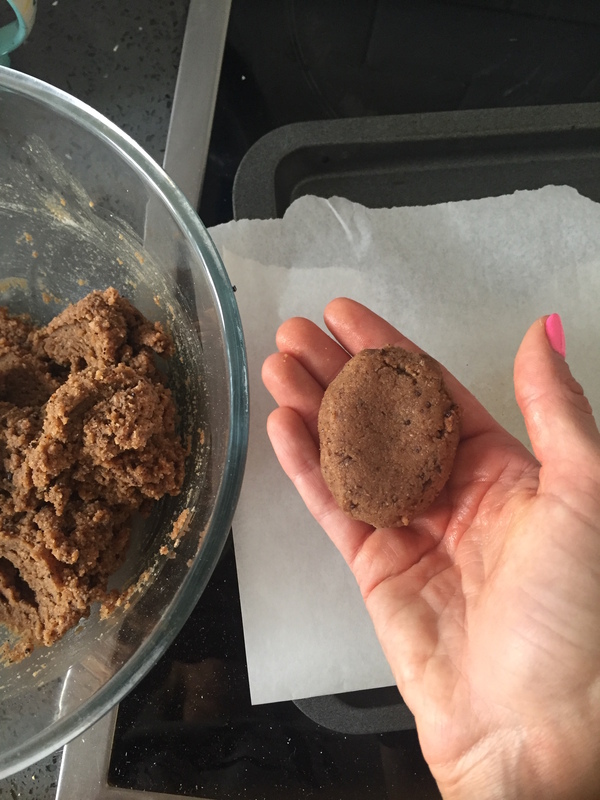 You can customise the cookie dough recipe to your own taste – you could add desiccated coconut, chocolate chips, nuts, chia seeds….. the options are endless. Personally I love classic vanilla or banoffee ice cream for a malty twist with these cacao cookies, but make sure you try all the Wheyhey Protein Ice Cream flavours to discover which one is your favourite. As always, if you give these ice cream sandwiches a go please tag me in your social media photos – and let @wheyheyofficial see too!